Private Sales are our biggest sale events of the year. They include raffles, free gifts, games and of course the biggest deals you’ll find year round. There won’t be a better time, place, or price! Our professional and knowledgeable staff, along with manufacturer experts will be onsite for this one-day only event to answer your questions, demonstrate products and assist you in purchasing the right kitchen appliance, washer and dryer, plumbing fixture, and/or countertop. Join us and shop while enjoying food, drinks, and the opportunity to win one of our many raffle prizes throughout the day! Click here to apply for future Private Sale invites by email. Brand Representatives and Master Chefs will do live cooking demonstrations using their latest appliances throughout the day. Here are just a few brands that will participate. Click on the image to see what each brand has to offer! Attendees have a chance to win a free raffle prize! Drawings are throughout the day. Winners must be present at the time of drawing. No purchase is necessary to enter. Limit of one entry per household. Here are just a few of last year’s Private Sale winners! Don’t Forget the Great Food! Get Invited! Click here to apply for future Private Sale invites by email. Will you be in the Calabasas / Agoura Hills area this weekend? Our universal appliance sale at our Agoura Hills showroom will be one of the biggest this year and it’s open to the public. As other appliance stores near you will be throwing their own Private Sale events, only WDC Kitchen & Bath has the buying power to price-match any competing offer and best of all, you are welcome to come. *This offer is valid for brand new items only. A minimum order size of $999 applies. WDC Kitchen and Bath of Burbank hosts our last Private Sale event this year on October 21st, this blog post gives you a sneak preview of the fun and special offers that will be at this unbeatable appliance sale in our Burbank showroom. We have gifts for the first ten shoppers, cooking demonstrations and free raffles for appliances worth thousands. Read on to learn the details of this upcoming appliance sale in Burbank. If you didn’t receive an invitation in the mail don’t worry! You can still RSVP. Click the banner below to apply for an e-mail invitation. The following appliance brands are graciously sending their professional chef demonstrators to this event. 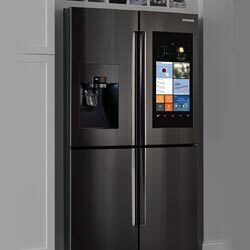 Please take a look at the premium appliances they offer. This appliance sale in Burbank has six great raffle prizes anyone can win. You’ll have to be present to apply, but we contact the winner by phone in case you want to leave the event early. Click here to apply for Private Sale invites by email. We’re happy to have the company of authorized manufacturer representatives to answer all your appliance questions. Here are the appliance professionals attending this specific event. It’s that time of year again! The bi-annual private sales event, also known as The Private Sale, will be rolling out from Sept 30th to Oct 21st 2018, covering all six stores with over 50 beautifully-crafted demonstration kitchens cooking samples all day long. It’s too late to request invites to this one, but you can apply for future Private Sales through this form. Professional chef demonstrators, this time from Miele, Thermador, Kitchenaid and too many others to count, will be showing off their own recipes, like this one. There will be grilling all day long on our Big Green Egg outdoor demo tent. Big Green Egg grills is always one of the more popular stations. Prizes, prizes and more prizes; premium appliances worth thousands will be won at our free raffles, including a Danby Designer wine cooler and GE 6 Cycle Dishwasher. Smaller prizes like robot vacuums, blu-ray players and artisan faucets will be given out throughout the day. You can file this quick application to apply for upcoming Private Sale events. We had a blast last Sunday at our WDC Kitchen & Bath Burbank location during the Spring 2018 Private Sale event. We had appliances donated for our raffle by Frigidaire, LG and GE. This was the second private event featuring our Bedtime Bonus Bucks promotion, where money spent on appliances earns you cash towards a new Sealy or Tempurpedic. We gave away thousands of dollars in raffle prizes including new laundry units, as seen above with our lucky winner and top two salespeople from our Burbank store. The Big Green Egg guys were outside as usual grilling up a storm. Inside, professional chefs from appliance manufacturers Thermador, LG, Dacor, Electrolux and others served up a variety of dishes to show off the prowess of their appliances. There was quiche, deviled eggs, “mud pie”, fresh pizza and other dishes. The whole store was heavily marked down for our private invited guests only. Some people wait six months for our next bi-annual sale before buying an appliance. 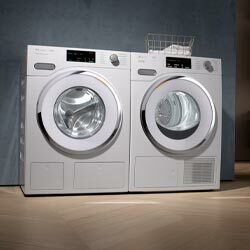 We host them twice a year at each of our six appliance showrooms around Los Angeles. Many happy customers walked away with a great deal on their choice appliance. Our financing plans can help get you the appliance you need with as long as 36 months interest free. Be a guest at our next event and join in on the festivities. Find out how you can attend our next Private Sale. One of our happy appliance raffle winners shows off her ticket. 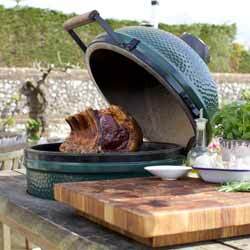 The Big Green Egg barbecues were on full display with a 25% sale on accessories. 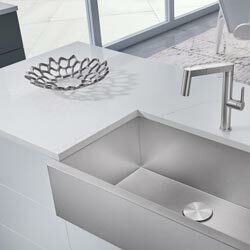 We polished our gorgeous kitchen installations for customer inspection. 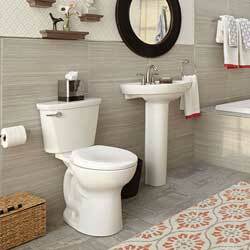 Plumbing and standing baths were a hit last week. Please take off your shoes before test-driving our baths! What people like about us most is our friendly, knowledgeable sales staff. Let us help secure you a great deal on the appliances you need. Our Private Sales are bi-annual store-wide clearance sales, an opportunity you can’t miss if you are remodeling the kicthen or bath. One of the newest gas range cooktops from LG showing off boiling point speed. Customers checking out the beauty and movement of a built-in fridge from Viking. Some of the most delicious recipes are the easiest to make. Here we have mud pie parfaits with maraschino cherry and basil leaves. A demo installation of the new LG Styler clothing steamer unit, along with a front-loading LG TwinWash washer. Just a few of the giveaways we had that day. A luxury wine cooler from Frigidaire, dishwashers and laundry appliances from GE, and a bluetooth sound bar by LG. 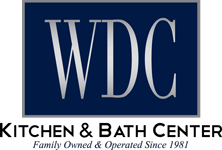 Out of all the days in the year, the bi-annual Private Sales at WDC Kitchen & Bath are the place to go for a new appliance. 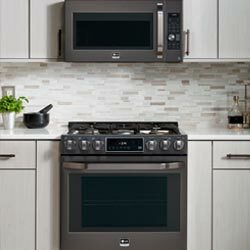 We carry both popular and luxury appliance brands. A relaxing day of food and fun last Sunday. We decorated, sold, cooked and laughed. Announcing yet another raffle winner. Did they get the free dishwasher or the wine cooler? The April 2018 Private Sale last Sunday was a huge success. We introduced some new games and gave away thousands in appliance raffles. This time we had manufacturer reps from Miele, Thermador, Wolf and Frigidaire showing off their appliances and giving cooking demonstrations. The guys at Big Green Egg were grilling up a storm outside and they brought their huge inflatable. To get invited to future Private Sale events, apply to our secret Facebook Group. Manufacturer representatives and culinary chefs provided various foods throughout the day. The Wolf & Sub-Zero kitchen had a spread of delicious cheeses, assorted crackers, veggies and fruit. For the morning crowd, the Miele kitchen was serving freshly made veggie omelets directly from their single wall oven. You were surely going to find something delicious in almost every kitchen you visited. Our Private Sales event isn’t only exciting for our customers, but for the staff too! It’s hard work preparing for these special events but our staff is still all smiles. We’re excited to see the all of the customers who are leaving our showroom happy about the huge savings they received. Also it was great to see the huge smiles on the faces of all our raffle winners. Be a guest at our next event and join in on the festivities. Find out how you can attend our next Private Sale. Jon K. baking delicious cinnamon rolls using the Sharp Superheated Steam Countertop Oven. WDC Kitchen & Bath Center sales professional helping this couple find the perfect refrigerator for their home. Wolf & Sub-Zero provided a delicious spread of cheeses and more! The Big Green Egg in action! Grilling tri-tip and chicken wings for the customers. Fresh out the oven! Veggie omelets made inside the Miele wall oven. Winner of the GE Monogram Wine Cooler. Winner of the Frigidaire Professional Dishwasher. Jenn-Air representative educating a customer on the double wall oven. Winner of the LG Soundbar. Dacor representatives are all smiles during our private sale. Wolf had a very busy kitchen showcasing their ranges and wall ovens. Thermador representatives took a quick break to strike a pose. Happy customer posing next to his new LG range. Winner of the Sharp Superheated Steam Countertop Oven. WDC employees take a quick break from their busy day to smile for the camera. 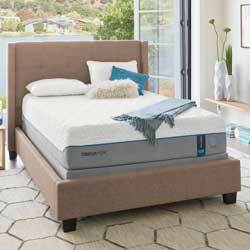 We featured a new promotion, Bedroom Bonus Bucks; appliances earn you money towards a new mattress from top names like Tempur-Pedic. A busy day at the Agoura Hills Spring 2018 Private Sale. Winners of the Artisan Pull Down Kitchen Sink. Two home runs for Burbank and Chatsworth Private Sales! A huge win for WDC at our Burbank and Chatsworth Private Sales Event. It was a great and busy weekend for our customers and staff! We had lots of traffic due to a huge demand for savings on top brand appliances! Customers took advantage of unheard discounts as well as drawings, prizes and free food! Check out some of the pictures and hope to see you next time! Santa Barbara and Oxnard Private Sales! Great weather and turnout at our Santa Barbara and Oxnard Appliance Retail Stores. Thank you all who made this event a huge success! Here are some photos from the sales event. Hope you can make it next time! Torrance Private Sale Gaining Popularity! Yet another great turnout for our Torrance Location. More and more people are catching on to this exciting event where the savings are truly exceptional! If you are in the market for an appliance please come in to one of our stores and ask to be invited next time! 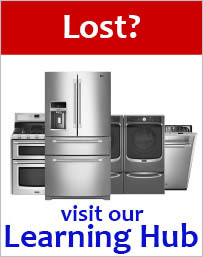 Its not uncommon to see brands like Viking, GE, Maytag all lowered to almost wholesale prices! Along with discounts there are also manufactured reps who provide education and demonstrations on their appliances. Customers also participated in Drawings and cooking demonstrations. Check out the photos and see for yourself! Hope to see you next time! Great Turnout at the Agoura Private Sale! Another successful Private Sale for Warehouse Discount Center! Every few months or so WDC opens its doors to its loyal customers who take advantage of huge savings on home appliances, plumbing fixtures and housewares. Customers can receive up to 70% off on select merchandise. This is more of an event than a sale! Chefs cook up healthy dishes and bbq some incredible tasting meats! There are also prizes and drawings every hour! 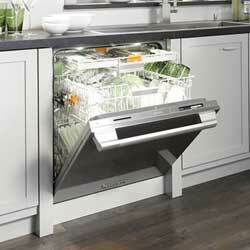 Winners receive dishwashers, microwaves, cooking accessories and much more! Stop by a store and ask a sales person how you can attend! Check out some of the photos and see you there next time!